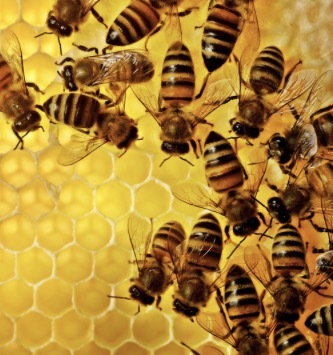 The Drew County Beekeepers Association will be hosting a training program at the Monticello Library April 20th beginning at 9 am, covering topics for everyone from “not-yet” beekeepers to advanced level beekeepers. The program will feature a comprehensive start-to-finish presentation by master beekeeper/lecturer/entertainer James Rhein. Mr. Rhein has been a beekeeper for over 50 years, has served as President of the Arkansas Beekeepers Association, and has a passion for bees and beekeepers. This workshop is free to the public, but donations to fund the speaker’s expenses are always appreciated. Children are welcome; we ask that children under 13 be accompanied by an adult. Spring is coming regardless of present weather…to be ready when the bees crank up the Drew County Beekeepers Association is hosting s training session on April 20th. April 20th will feature a comprehensive start-to-finish presentation by a master beekeeper/lecturer/entertainer James Rhein. He has been a beekeeper for more than 50 years, has served as the president of the Arkansas Beekeepers Association and has a passion for the bees and beekeepers. I experienced his presentation twice last year, and will be in line again in April. This is free to the public: free will donations can always be accepted, but absolutely no charge. Young beekeepers are welcomed, those under 13 are encouraged to be chaperoned. Newer article: Congratulations to Daniel Hill for being named This weeks Pirate Baseball Player of the Week. !!!!!!! This entry was posted on Wednesday, April 3rd, 2019 at 12:43 am	and is filed under Announcements. You can follow any responses to this entry through the RSS 2.0 feed. You can leave a response, or trackback from your own site.